J Apartment is a self-catering accommodation located in Miðvágur. You can enjoy the calm and quiet nature of the region with the view of the mountains just outside of the front door. Stay connected with free WiFi. There is a folder for you in the apartment where you will find information about the Faroe Island and Tórshavn with maps and events. Stay 7 days, pay for 6 days . 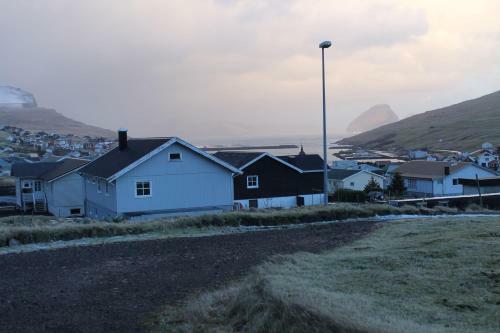 Find a bed and breakfast in Faroe Islands and book directly with the B&B owner via Bed ... J Apartment is a self-catering accommodation located in Miðvágur. Old style Faroese house located close to the old part of the city. TN 22 - ... TN 42 - J. Broncks… Modern apartment in the heart of Tórshavn ... Faroe Islands.